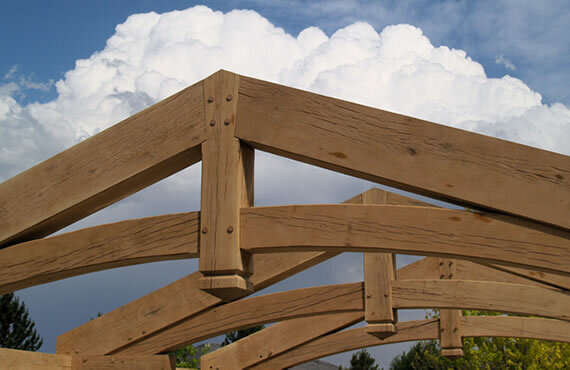 Brewster Timber Frame Company is located in the foothills just west of Fort Collins in Bellvue, Colorado. 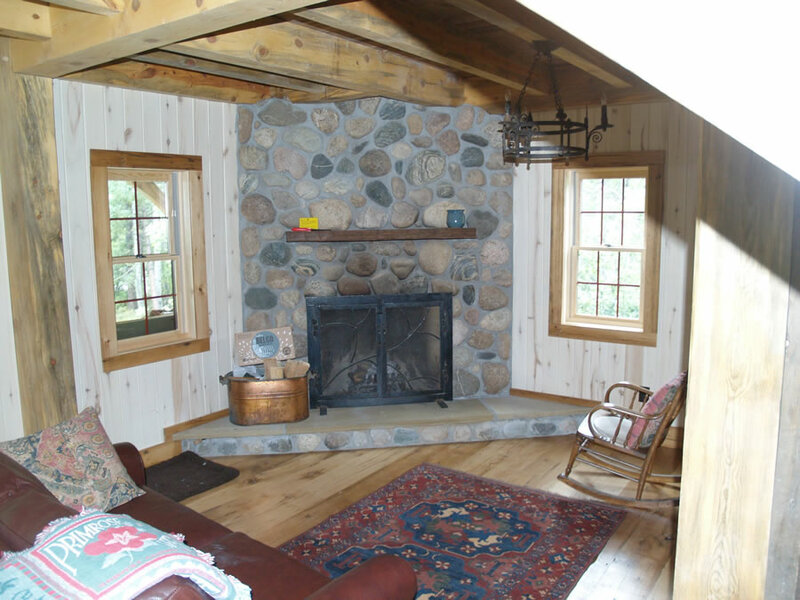 We provide affordable, top quality timber and log construction services to the Colorado front range area and beyond. Brewster Timber Frame Company was founded in 1985 in Brewster, Massachusetts. The heart of the company is myself and a network of skilled craftsmen. I have chosen to keep the company small in order to provide each client the individual, detail oriented service they deserve. Past projects have included custom homes, additions, barns, equestrian buildings, outdoor living spaces like kitchens and porches, pergolas, pavilions, entry ways, porticos and gazebos Take a look at our gallery of projects. Bring the outdoors in or the indoors out! Create added seasonal living space easily & affordably. A comfortable, cool oasis from the bright Colorado sun and heat of the day. 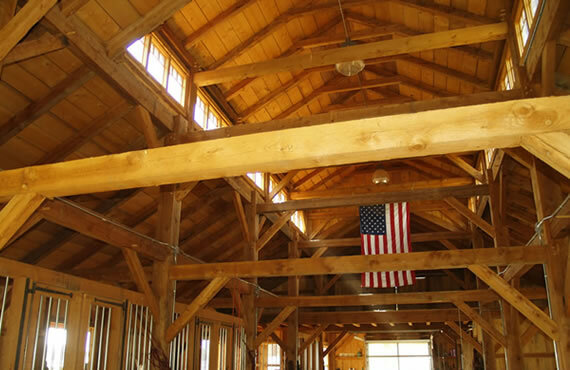 Learn about timber framing, how the structure is made, the styles available, the cost of timber framing and how it compares to other types of construction and more. 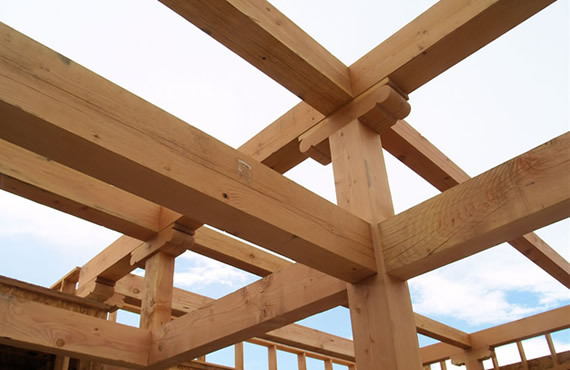 Some great resources to learn more about timber framing. 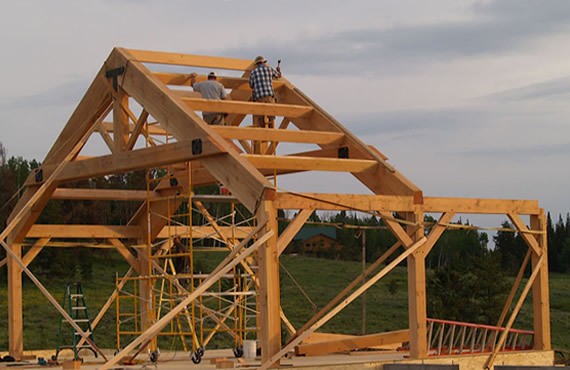 Learn some of the details about timber frame construction and techniques as well as the materials that go into building a great timber frame structure. A step by step illustrated tutorial on what we do and how we do it. 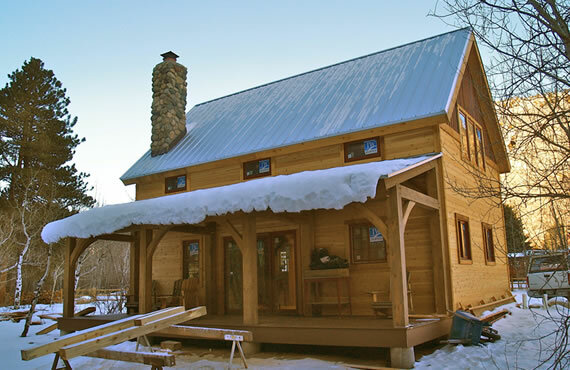 Learn why timber frames make sense, are energy efficient, beautiful and affordable. Timber frames are not just for millionaires! Read some of the recent news articles about Brewster Timber Frame Company a leading timber frame builder in Northern Colorado. They say "a picture is worth a thousand words". Take a look at our timber frames projects gallery and decide for yourself. 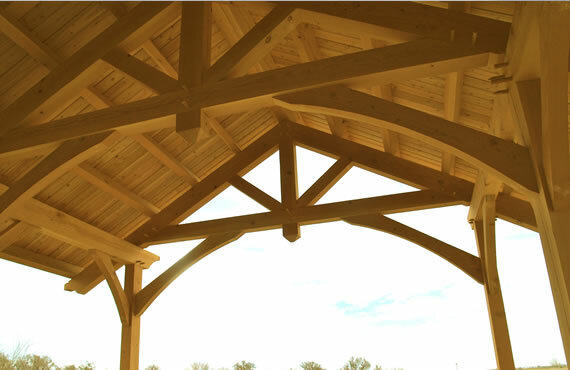 Brewster Timber Frame Company, located in Northern Colorado, specializes in building traditional timber frame houses, barns, gazebos and more. 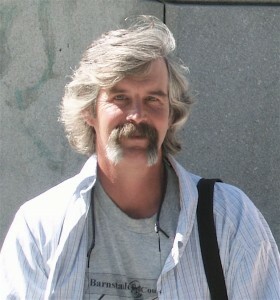 1I have been timber framing since 1980, learning the skills and techniques from New England craftsmen. In my humble opinion there is no better way to build a fine structure than by using the time tested techniques of interlocking wooden joinery of timber framing. 2We are dedicated to sustainable design and building practices. We typically enclose our frames with structural insulated panels which create a solid, comfortable, highly energy efficient structure quickly and simply. We also use local source beetle kill and fire seasoned pine. 3Even the simplest timber frame is beautiful and aesthetically pleasing. From rough cut, hand hewn timbers to oiled and polished smooth-planed timbers with hand carved detailing. Any home style can be adapted to timber frame – Craftsman, Colonial, simple or complex. 4Timber frames are not just for millionaires. We strive to provide the highest in quality and value with competitive prices. You will likely be pleasantly surprised by what we can offer you. I do my best to create affordable, beautiful, solid, long lasting structures. Brewster Timber Frame Company is located in the foothills just west of Fort Collins in Bellvue, Colorado. 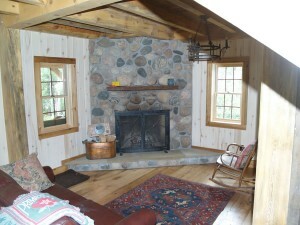 We provide affordable, top quality timber and log construction services to the Colorado front range area and beyond. Past projects have taken us west into the Rocky Mountains, east into the Midwest and north into Wyoming and South Dakota. If you have an interesting project for us to work on we are willing to travel. Brewster Timber Frame Company relocated from Brewster Massachusetts to Colorado in 1998. We have been in business since 1985. I have been timber framing since 1980, learning the skills and techniques from New England craftsmen. In my humble opinion there is no better way to build a fine structure than by using the time tested techniques of interlocking wooden joinery of timber framing. We have honed the skills and techniques, picked up some new tricks along the way and figured new ways to make these places affordable. 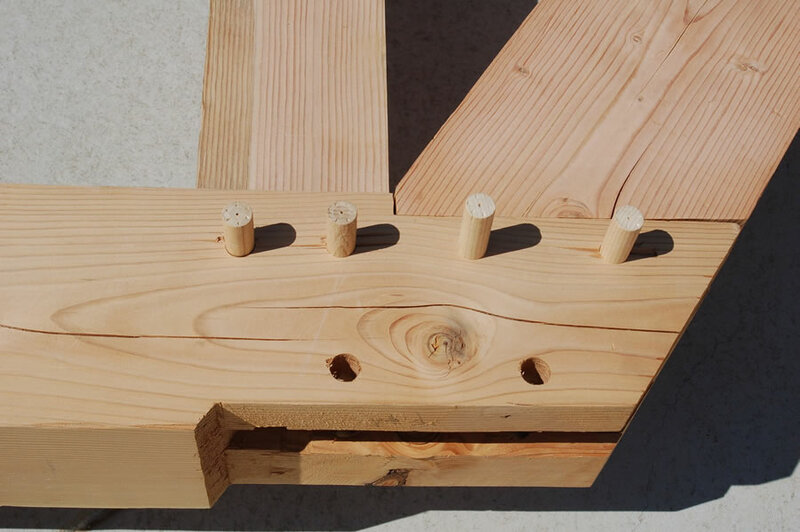 Even the simplest timber frame is beautiful and aesthetically pleasing. They are not just for millionaires. Any home style can be adapted to timber frame – ranch style, Craftsman, Colonial, modern, simple or complex. Past projects have included custom homes, additions, barns, equestrian buildings, outdoor living spaces like kitchens and porches, pergolas, pavilions, entry ways, porticos, gazebos all using the time tested method of interlocking wooden parts integrated together with mortice and tenon joinery and wooden pegs. Traditional dowel and tenon connection. We are dedicated to sustainable design and building practices but are not limited to any boundaries that those terms may imply. Lately we have been promoting and using local source beetle kill and fire seasoned pine, spruce and fir timbers for many projects. This material is structurally sound, (we sort and use the best pieces which are then graded by TPI or an engineer) aesthetically pleasing (beautiful colors and striking character in most pieces), terrific weight to strength characteristics ( can carry a heavy load though lighter in weight than many wood species), wonderful material to work with (cuts like butter, planes and sands to a nice finish). And perhaps best of all is relatively inexpensive. I also have sources for all other timber species if you choose to go that route. I can help you sort through the options. Those options include but are not limited to – eastern hardwoods, white and red oak, eastern and southern pine species, cedars, cypress, douglas fir, white fir, larch, old growth, kiln dried timbers plus reclaimed and recycled timbers and materials, even tropical hardwoods. Cozy living room room with beetle kill timber frame and floor. We typically enclose our frames with SIPs panels (structural insulated panels) which create a solid, comfortable, highly energy efficient structure quickly and simply. An example of our dedication to sustainable and green building is the portable solar/wind power generator we have developed to use to power the tools we use to cut our frames. We hand cut each frame individually with hand and power tools. Timber frames are not just for millionaires. I do my best to create affordable, beautiful, solid, long lasting structures. Even the simplest frames can be stunningly beautiful.